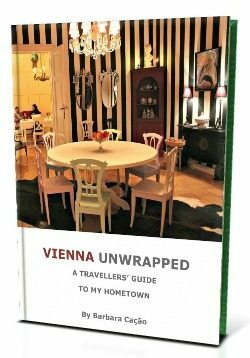 This is your resource page to find out what is behind Vienna Unwrapped, how to collaborate and get in touch. Media Mentions: Find out what journalists write about Vienna Unwrapped, and how they find it. Europe Travel Resources: Access those European travel sites I partner with and that I feel comfortable to recommend further. There are three easy ways you can get in touch with me. Unless you are cold calling, I always endeavour to get back to you within 48 hours weekdays. Trip Planning Services: I have assisted a few readers with planning their honeymoons, anniversaries, and special culture trips to Vienna and Austria. If you are a traveller or travel agency in need bespoke insider travel consulting, I’d love to hear from you. Content Marketing and Advertising: Do you offer a product or service that could be of interest to Vienna Unwrapped readers? Get in touch with me! 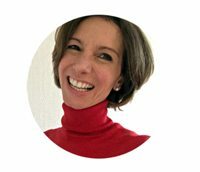 Guest Posts: Savvy Vienna travellers and travel bloggers – get your off-the-beaten-path guest post publicised on Vienna Unwrapped. General Contact: If you have a different business or personal query or just want to say hi, get in touch. Vienna Unwrapped owns all content and copy rights of this site (unless otherwise indicated). Use of Vienna Unwrapped’s intellectual property or trademarks in any way and for any purpose requires prior written permission. All content provided on this blog is for informational purposes only. The contents of this site are provided to the best of my knowledge. The owner of this blog makes no representations as to the accuracy or completeness of any information on this site or found by following any link on this site. The owner will not be liable for any errors or omissions in this information nor for the availability of this information. The owner is not liable for the content to third parties it links to. The owner will not be liable for any losses, injuries, or damages from the display or use of this information. These terms and conditions of use are subject to change at any time and without notice.